Our Hand Forged Wrought Iron Wall Sconces are true one of a kind works of art. Each Wrought Iron Sconce is Hand Forged from red hot iron into the beautiful finished product you will enjoy seeing in your home day after day. Our Iron Wall Sconces will add luxury to your walls and home. 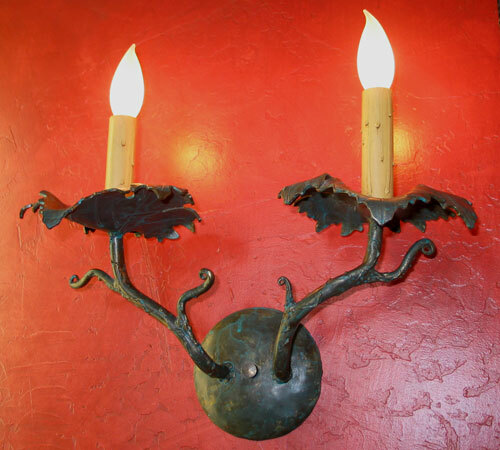 Hand Forged Tuscan Style two light sconce. 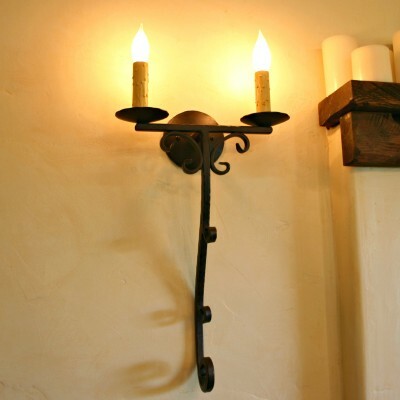 This gorgeous hand forged solid wrought iron sconce has clean and simple lines, flowing tail with beautiful hand hammering, hand forged scroll ends and heavy iron construction throughout. You will be very pleased with your decision to place these sconces in prominent places throughout your home. Measures 12.5" wide x 18" iron portion only, the candle and bulb add about 6". 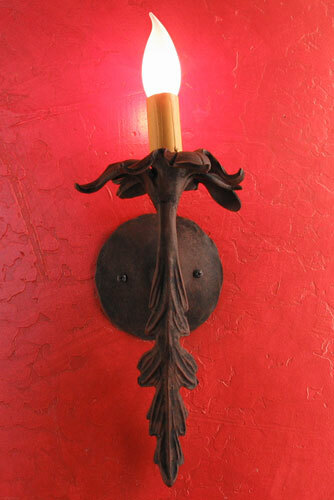 Hand Forged Tuscan Style light sconce. 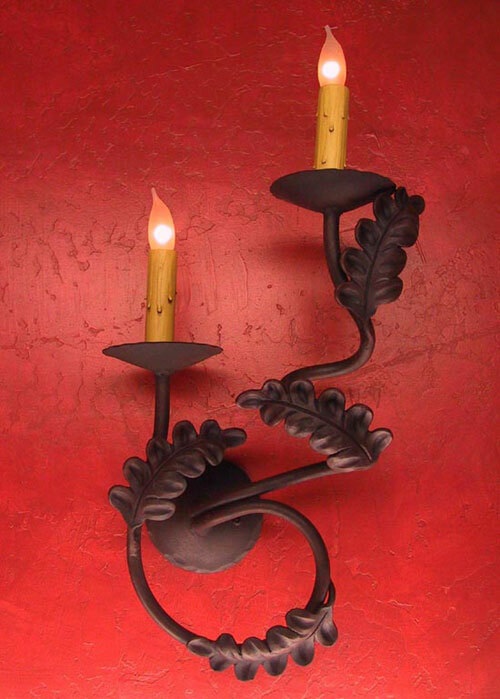 This gorgeous hand forged solid wrought iron sconce has clean and simple lines, flowing tail with beautiful hand hammering, hand forged scroll ends and heavy iron construction throughout. You will be very pleased with your decision to place these sconces in prominent places throughout your home. Measures 6" wide x 18" iron portion only, the candle and bulb add about 6". Entirely Hand Forged Leaves, Branches and Tendrils. Measures 16" tall X 16" wide. Beautiful hand forged single light sconce. Measures 16" tall X 6" wide. 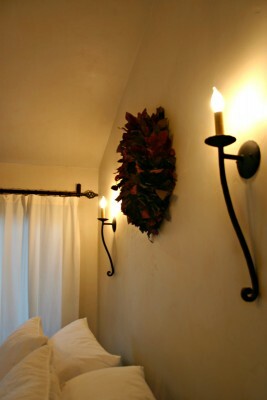 Hand Forged elegant Roman Bath sconce. Measures 24" tall X 12" wide.